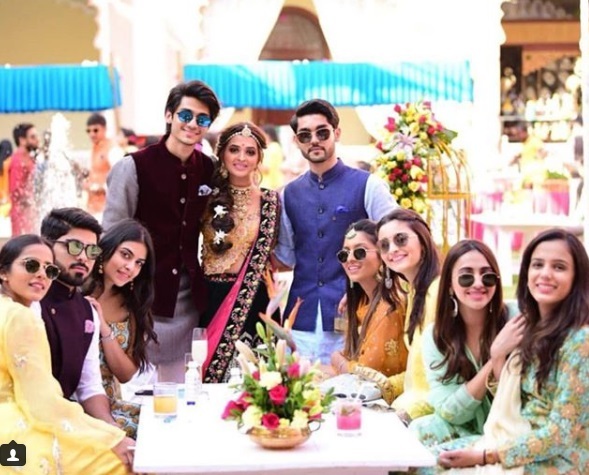 We are super excited when it’s our best friend’s wedding and for the fun, we look forward. 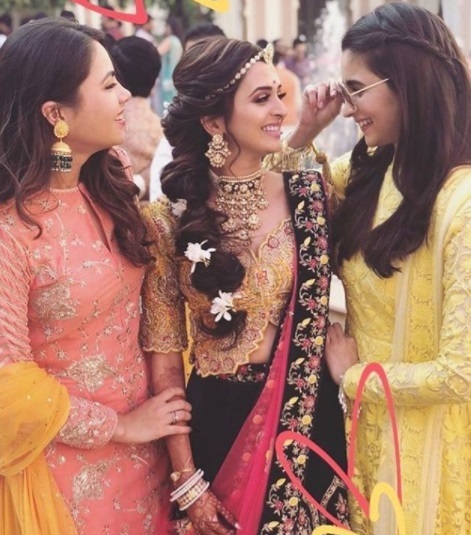 Bollywood actress Alia Bhatt recently experienced the same at her best friend Kripa Mehta’s wedding ceremonies in Jodhpur. 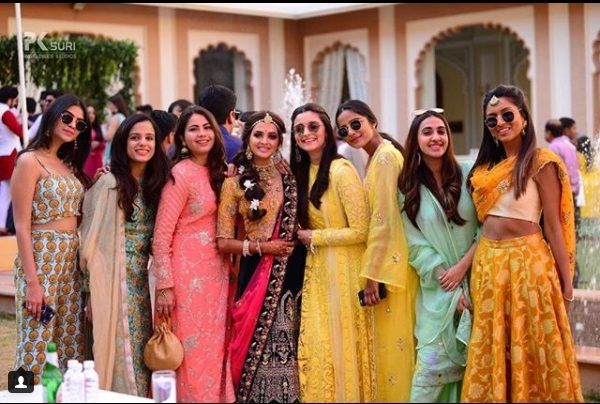 Alia literally had a gala time with her girl squad and moreover anything, we just can’t get our eyes off her stunning appearances. 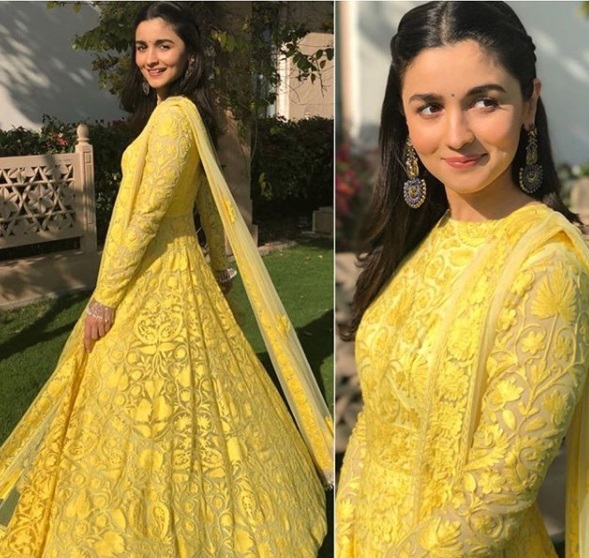 For her friend’s Mehendi, Alia picked a yellow hand -embroidered dress by Manish Malhotra. 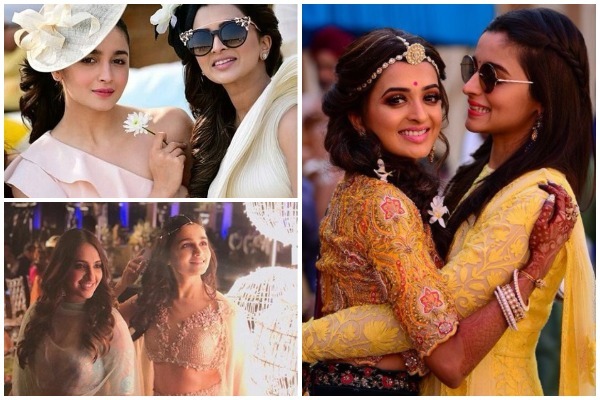 She finished her beautiful look with a centre-parted dramatic hairdo, minimal makeup, a bindi and statement earrings. 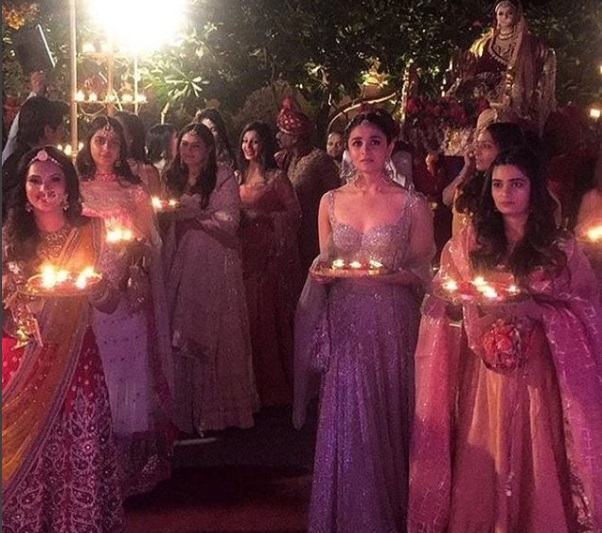 For the sangeet ceremony, Alia Bhatt wore rose pink 3D floral blouse and lehenga. 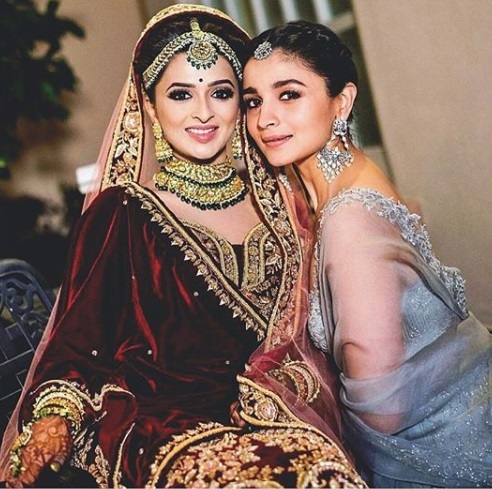 With no other accessories and only a headpiece by Isharya, Alia Bhatt looked stunning. 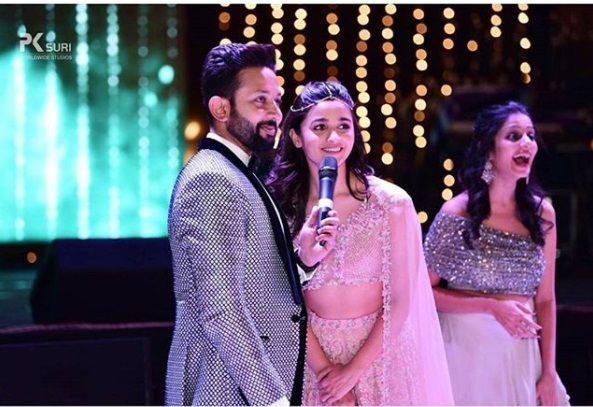 Here’s the video of Alia Bhatt dancing to ‘Hawa Hawa’ along with her close friend Akansha Ranjan Kapoor at the sangeet ceremony of Kripa Mehta’s wedding. 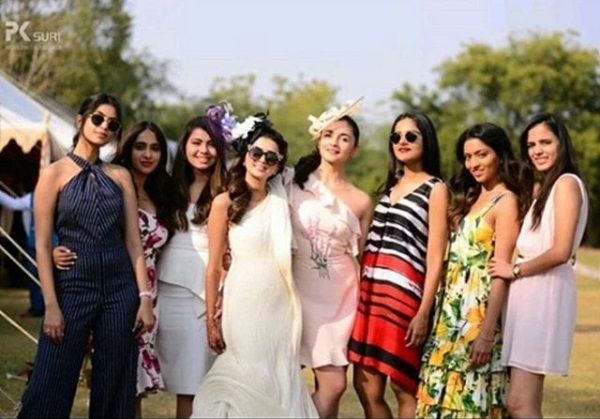 The wedding also had such unique ‘Polo Game’ theme, where the bride and bridesmaid looked super gorgeous in their British royal outfits. 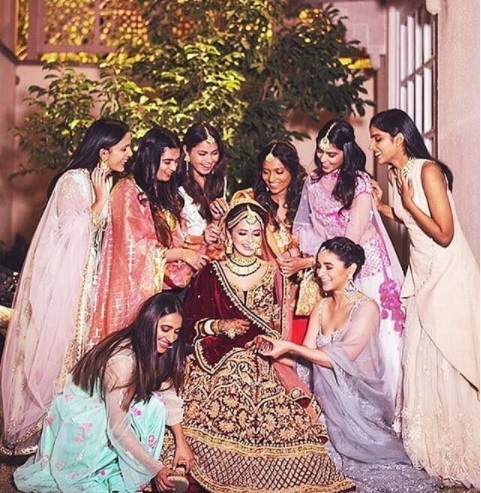 And yet, another glam lehenga Alia Bhatt wore from the designer Krésha Bajaj Zaveri and Amrapali Jewelry. This is it! 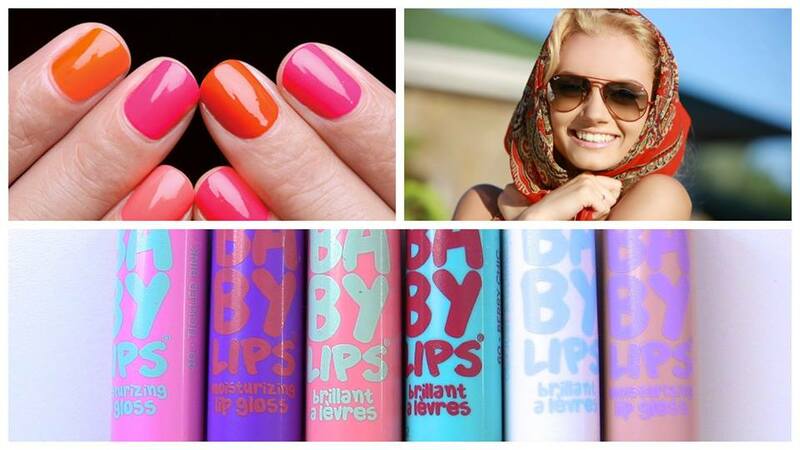 I am gonna rock this way at my bestie’s wedding. What is your thoughts? Tell us in the comments box. 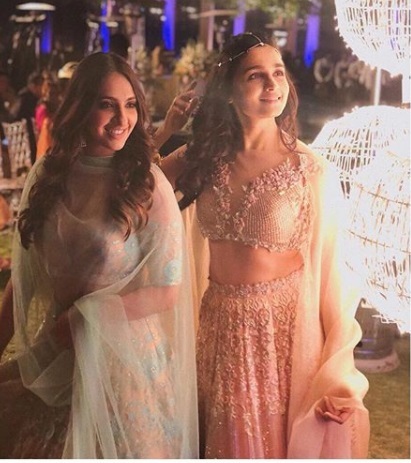 On the work front, Alia is currently shooting for Gully Boy, co-starring Ranveer Singh. 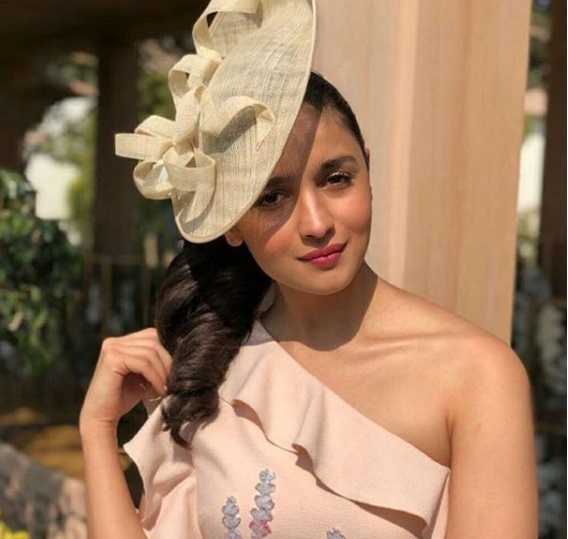 She is also having another project to start, fantasy drama Brahmastra, co-starring Amitabh Bachchan and Ranbir Kapoor. Previous : Jio Filmfare Awards 2018 Style Check: Shahid Kapoor, Ranveer Singh & Others Slay It!